Each analysis is fortified by an understanding of how the material's chemistry, microstructure and mechanical properties interact. Stringently controlled procedures ensure the reliability of results and absolute traceability to National Institute of Standards and Technology Standard Reference Materials. 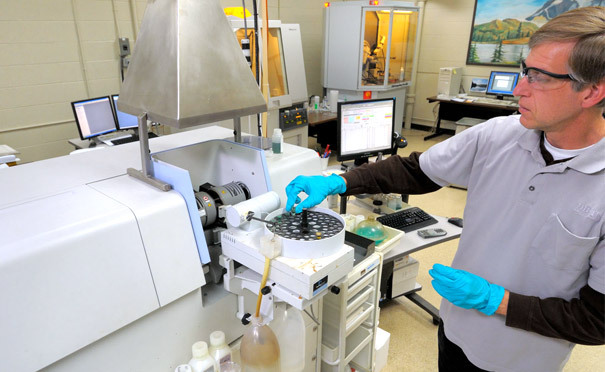 This laboratory built its reputation for excellence by preparing and analyzing the most challenging materials, including superalloys and ceramics. 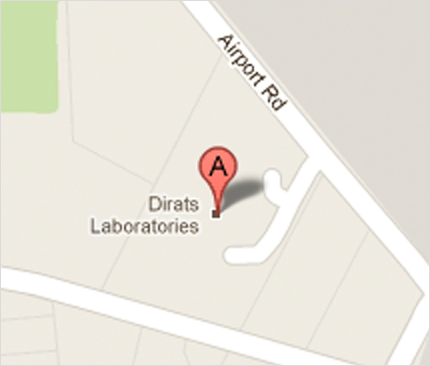 Unlike many other laboratories, Dirats never settles for reporting raw data. Instruments are calibrated with matrix-matched reference standards to account for microstructure, matrix interaction and interelemental effects in aerospace alloy systems. For this reason, many producers of standard reference materials use results from this laboratory for validation of their own standards. ICP-MS brings greater speed, better detection sensitivity and multi-element capability to trace element analysis. ICP-MS (Inductively Coupled Plasma-Mass Spectrometry) is a highly sophisticated technique that allows fast analysis of a myriad of elements at extremely low detection limits-one or two orders of magnitude below emission ICP. The ICP-MS can analyze 75 elements every three minutes at a low detection limit, transforming tedious analysis into high-speed results. By contrast, a graphite furnace requires a half-hour to analyze just a few elements at that level of sensitivity.